AMMONNEWS - African football will conduct a soul-searching session at a two-day symposium in Morocco after all five of the continent’s sides failed to get over the first hurdle at the World Cup. Egypt, Morocco, Tunisia, Nigeria and Senegal were all eliminated in the group phase in Russia, leaving Africa without a representative in the knockout rounds for the first time since the 1982 finals in Spain. 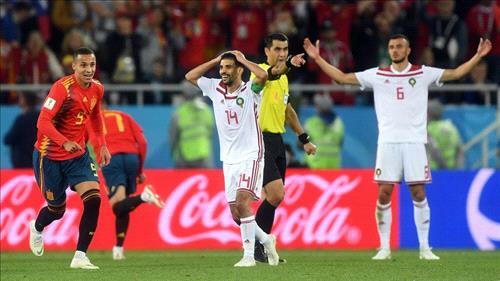 Coaches and officials of the five countries will discuss the disappointing results at a debrief in Rabat organized by the Confederation of African Football and the Moroccan Football Federation on Sunday and Monday. “It was a disappointment for the African teams and the African continent,” said former Nigeria international Emmanuel Amunike, who was part of FIFA’s technical study group analyzing the World Cup and will be at the symposium. “A lot of people were expecting African teams to progress beyond what they have done previously, but unfortunately it didn’t materialize. “The truth is that we all are aware that football has developed a lot and will continue to change, and we in Africa, if we don’t embrace the responsibility and see how we can develop our youth, will continue to live on dreams. “I can tell you that there is a lot of raw talent but raw talent, without polishing them, will not give you a result,” he said. FIFA President Gianni Infantino said last week that Africa’s failure to get a team past the first round had been discussed by the game’s top officials and was a concern. “You need a little luck to get past the first round at a tournament like the World Cup. Senegal, Morocco and Nigeria all played very good football. But this is a concern and we have been talking about it with the president of CAF and we will intervene,” he told reporters in Moscow. Egypt were the first African country to play at a World Cup in 1934 and since 1970 there has been a consistent African presence at the tournament, rising to six teams in 2010 when South Africa hosted the finals. But none have reached the final four and only three African sides have got as far as the quarter-finals: Cameroon in 1990, Senegal in 2002 and Ghana in 2010.